The latest service to be featured “over the top” is one featuring several beloved classic cartoon characters. Time Warner announced this week a new Internet-only version of its classic animated channel Boomerang. The service plans to exclusively offer 5,000 hours of classic library material from the Warner Bros. and Hanna-Barbera catalog, featuring characters such as Bugs Bunny, Scooby-Doo, and Fred Flintstone. In addition, the new Boomerang service plans to offer “original” material such as a revival of the 1968 CBS Saturday Morning cartoon Wacky Races (which spun off Dastardly & Muttley and The Perils of Penelope Pitstop) and “new episodes” of Looney Tunes, Tom & Jerry, and Scooby-Doo, though information on these shows are quite vague. According to Boomerang’s website, “new” episodes of Scooby-Doo are basically leftover episodes of the latest entry in the Scooby-Doo series, Be Cool. A new animated series based on the classic Wizard of Oz movie is also in the works. Boomerang OTT now the exclusive home to this guy. Originally, the Hanna-Barbera library was the cornerstone of Cartoon Network, which was launched in 1992 a year after Turner Entertainment purchased the library from Great American Broadcasting, owners of Worldvision Enterprises (since absorbed into CBS Television Distribution.) 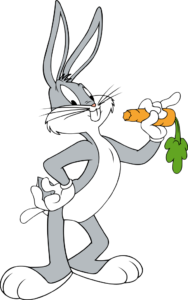 Turner merged with Time Warner in 1995, adding classic Warner Bros. cartoons to the library. After adding original series to Cartoon Network, the classic material was spun off to a linear channel, Boomerang in 2000. Boomerang has had reach issues since its inception. The linear channel still isn’t carried by several cable distributors, including Xfinity (Comcast) and Wide Open West in the Chicago area. In more recent years, it has become an overflow channel for fare Cartoon Network doesn’t have time to air. Boomerang has expanded worldwide, including distinct versions in Australia, France, Germany, Italy, The Netherlands, Thailand, United Kingdom, and of course, the United States, where it’ll continue as an linear channel. Available only to U.S. viewers this spring, the new Boomerang channel is $4.99/a month (with a 7-day free trial) or $39.99/a year (with a 30-day free trial) and is available to web, iOS, and Android users with rollout coming soon to Apple TV, Roku, and Amazon Fire. Currently, Time Warner is awaiting approval from federal regulators to merge with AT&T in a deal expected to go through by the end of the year. This is the latest OTT service launched in the last few years, bypassing cable for streaming instead. Recent entries include CBS All-Access, Comic-Con HQ, and WWE Network.